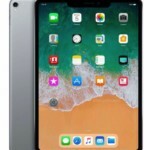 While Apple Canada’s online refurbished store lacks iPhone models like its U.S. counterpart, third party sellers have filled the void for those seeking to buy used iPhones in good condition. 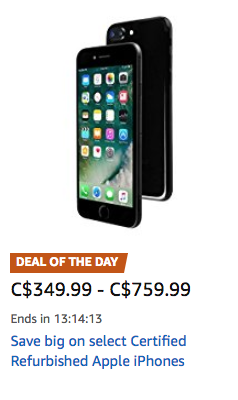 Amazon.ca has highlighted ‘certified refurbished’ iPhones as part of their ‘Deal of the Day’, noting users can “save big”. The refurbished models listed start at $370 CAD for an unlocked 16GB iPhone 6s, which is cheaper than some third party sellers in Canada by $20. iPhone 6s Plus and iPhone 7 Plus models are available as well, ranging from $419.99 to $759.99 respectively. These certified refurbished iPhones are sold by a third party and fulfilled by Amazon, so if you do run into an issue, you should be able to return them. We haven’t tried these before, so of course your mileage may vary. If you don’t want to deal with online classifieds for a used iPhone, this may be another route, albeit prices are higher versus Craigslist. Click here to check out these certified refurbished iPhones on Amazon.ca.